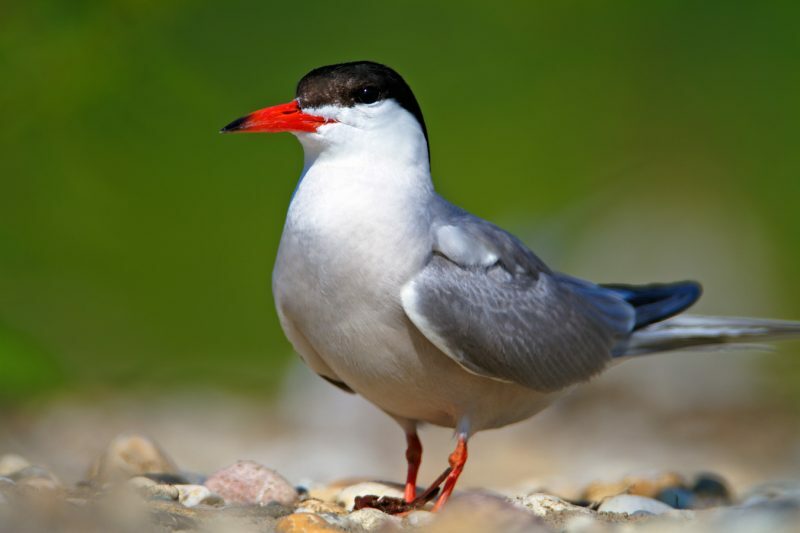 The common tern (Sterna hirundo) - World Rivers Become a Patron! 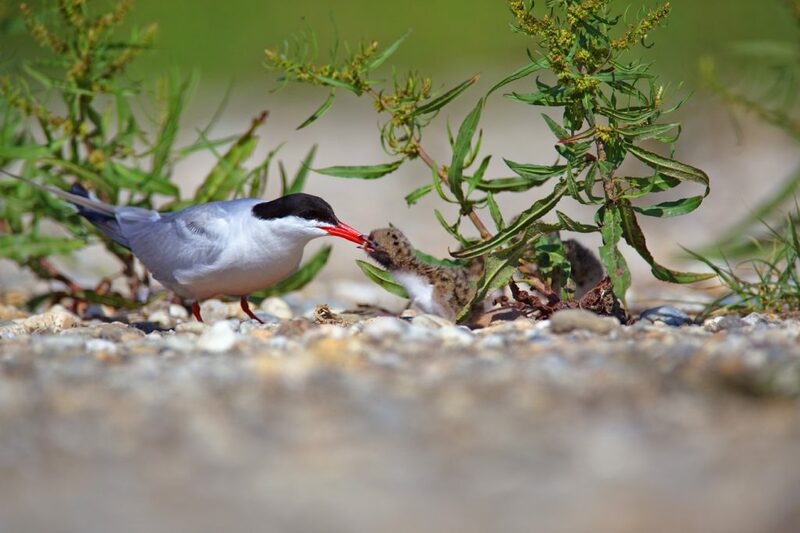 Nesting on gravel bars, the common tern (Sterna hirundo) is a bird that lives on the rivers. Elegant flyer, it hunts by diving into the water. 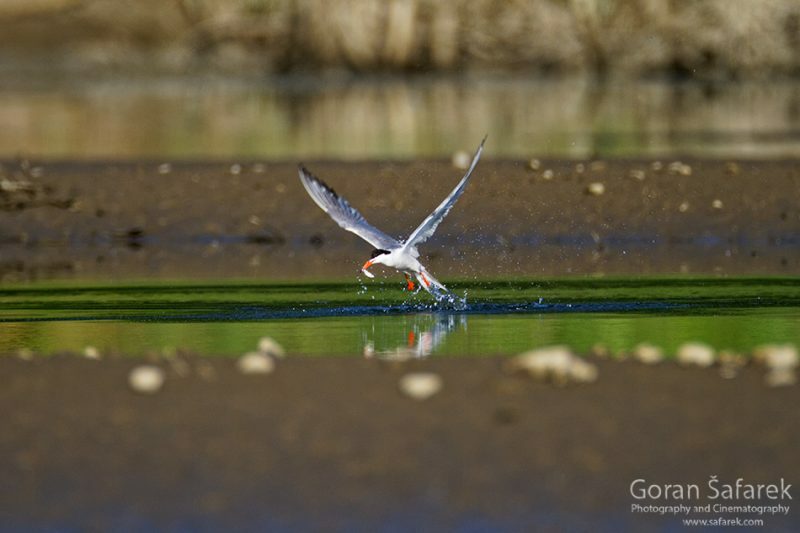 The common tern (Sterna hirundo) has a narrow, elegant body, proportionally long wings, and a red beak and legs. They are excellent fliers and they hunt their prey, primarily small fish, plankton crustaceans, insects, and other invertebrates, by diving underwater from the air. Often, the entire flock is plunging, for example on a shallow lagoon, where small fish are cornered. They nest in colonies, even though some pairs may nest separately, which are constructed on gravel bars and shores or rocks. Their nests are just shallow depressions located in the open or among rare vegetation, and the coloration of the eggs enables them to blend in with the environment and makes their discovery difficult. These birds are aggressive on intruders and will fly close to the people too. Other species like the little tern can join the colony. 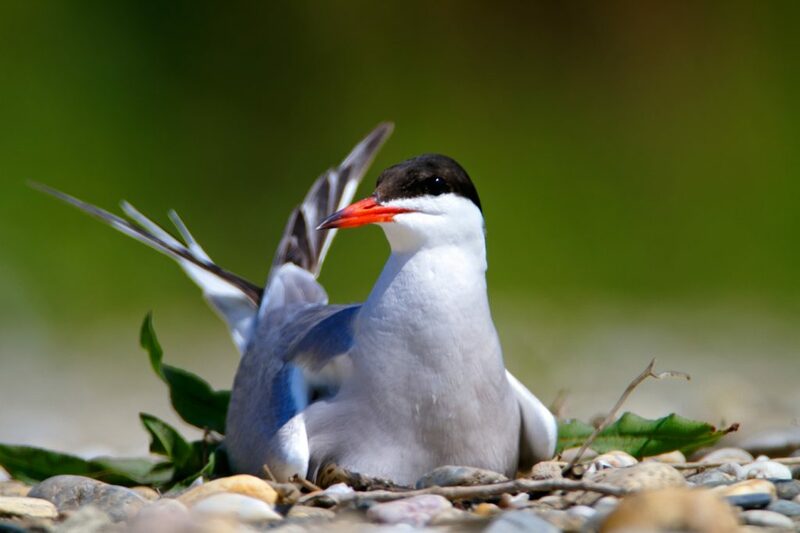 The common tern can be found along river watercourses with a gravelly bottom, gravel pits and fish ponds, and along sea shores. European populations are migratory and they spend their winters along the shores of Africa.